This tutorial for tinting blender layers will work for all system clothing/tattoo layers in whatever viewer you use. 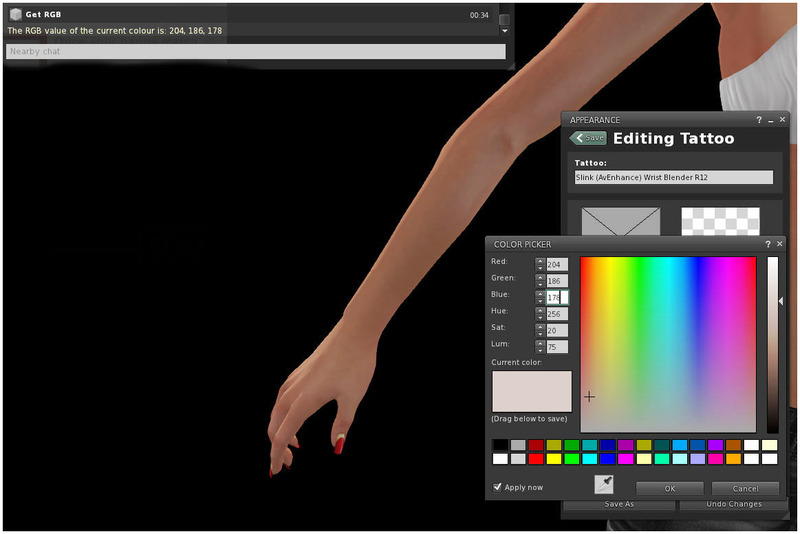 This tutorial was done using the official Second Life viewer, but follows the exact same steps in others. You have followed all the steps so far to use the Slink OmniHUD V5, and now you are at the blenders stage. If you did not need to tint your hands/feet to get a perfect match, then you will only need to wear the blender number suggested. In the box below “Click Here’ on the OmniHUD, you can see the blender number you will need to search for in the inventory folder for the Slink feet or hands. In this example it is blender R12. Once you have found the matching blender, right click to “add” it to your outfit. You will notice it is lighter than your hands/feet; this is because you now need to tint it to match. Right click the blender layer in your inventory (it will be bold so it’s easy to see) and choose edit from the drop down menu. This will take you into edit appearance mode. 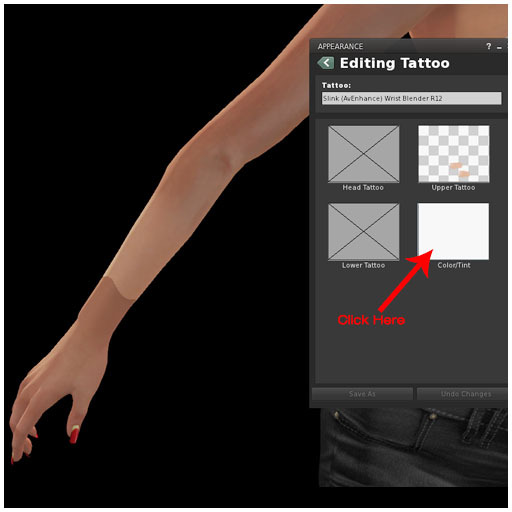 * If you go into edit appearance clothing on your own, you will need to select the blender from a list of items you are wearing – it is much faster to do so from the item in your inventory. Once you are in edit on the blender layer, you will see a white box called colour/tint. Click it to open the tint window. Now it is time to use the numbers that the OmniHUD chatted to you. Enter the numbers into the Red, Green and Blue fields in the same order they appeared in local chat. As you press enter each time you will see that the colour changes. The Blender should match when you enter the final number. Click OK to close the pop up, then save at the top left of the editing window. Now you can enjoy your matching hands/feet.